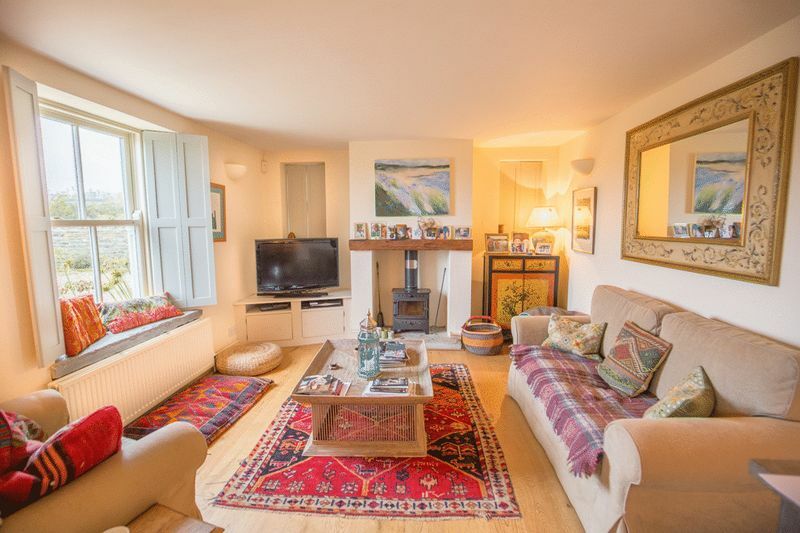 Recently modernized to a very high standard, May Cottage is located on the edge of the popular village of Barton St. David. 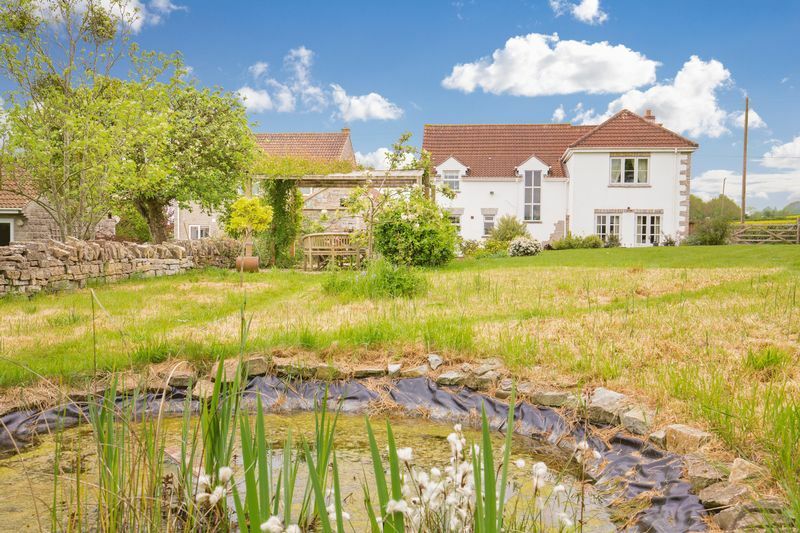 It is a detached Victorian house with beautiful views over the surrounding countryside and is set in approx quarter of an acre. 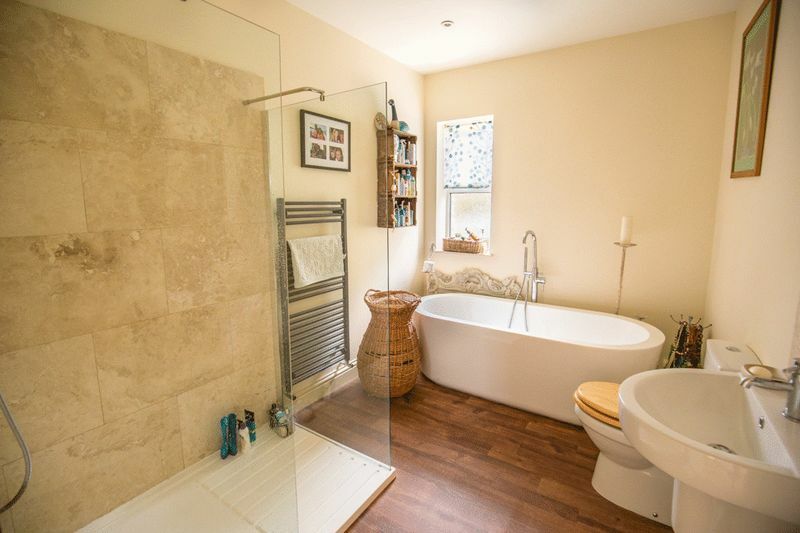 May Cottage has been recently renovated to a high standard throughout with some very attractive features including shutters on the windows, oak flooring, wood burner, french doors to the garden, and two good bathrooms, one with a free standing bath and large walk in shower. 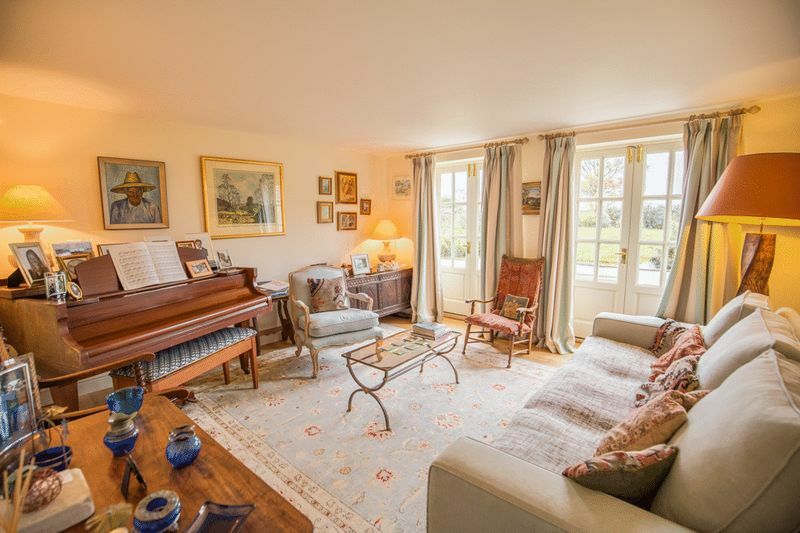 On the ground floor, there is a snug room with a modern wood burner set into the chimney stack and the sitting room is generously proportioned with direct access to the garden via two sets of double doors. 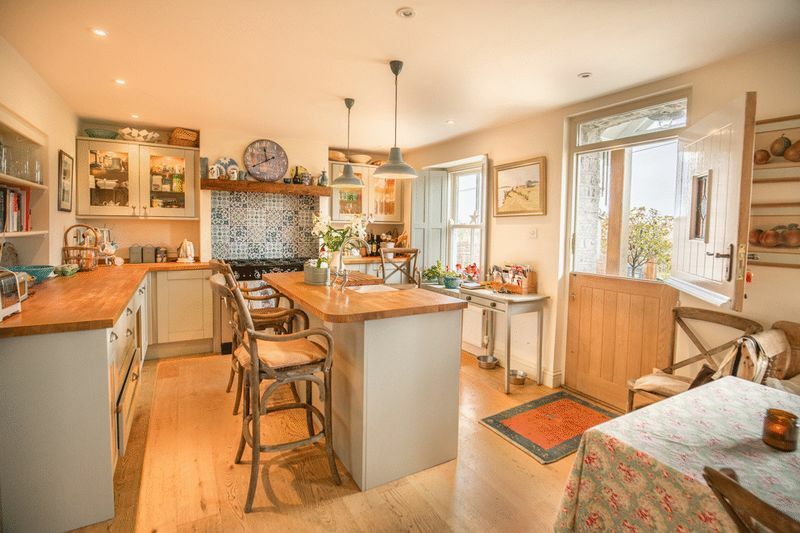 The kitchen offers modern units, attractive wooden worktops, an ‘island’ and a charming timber ‘stable door’. 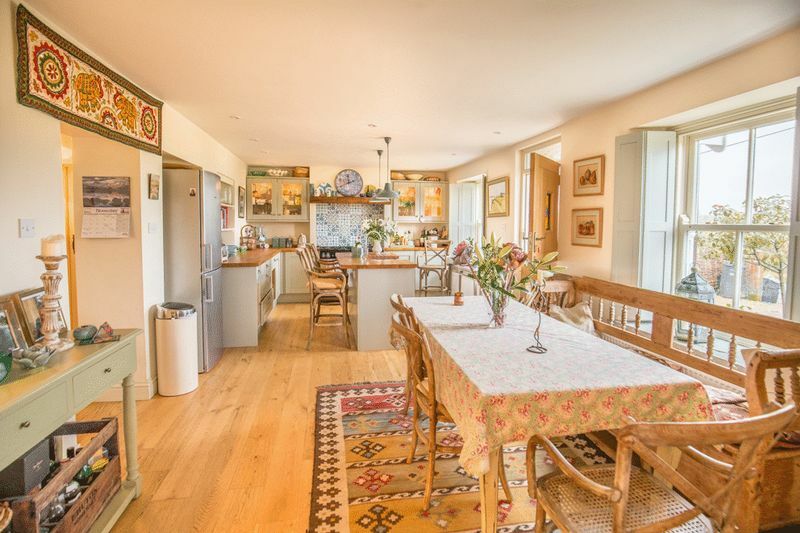 The open plan kitchen, dining and snug room give the house a feeling of spaciousness and light. 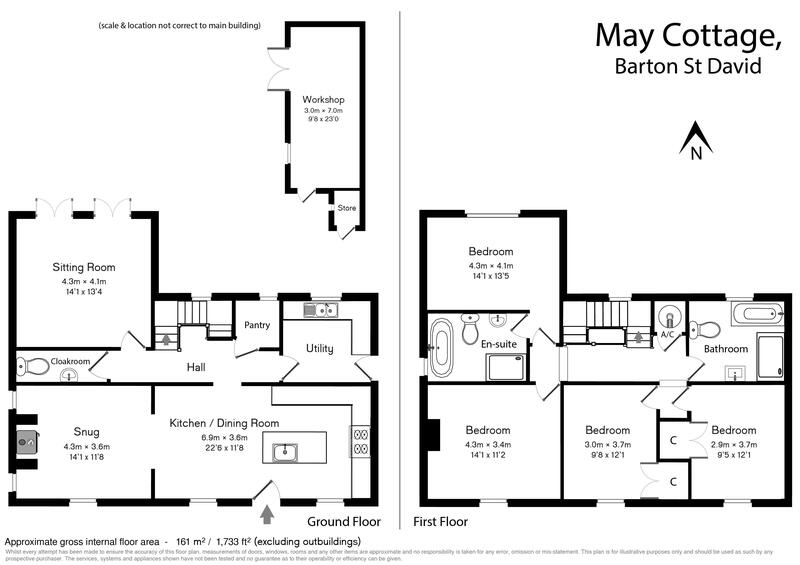 There is also a generously sized and well fitted boot/utility room, a walk in larder and cloakroom. 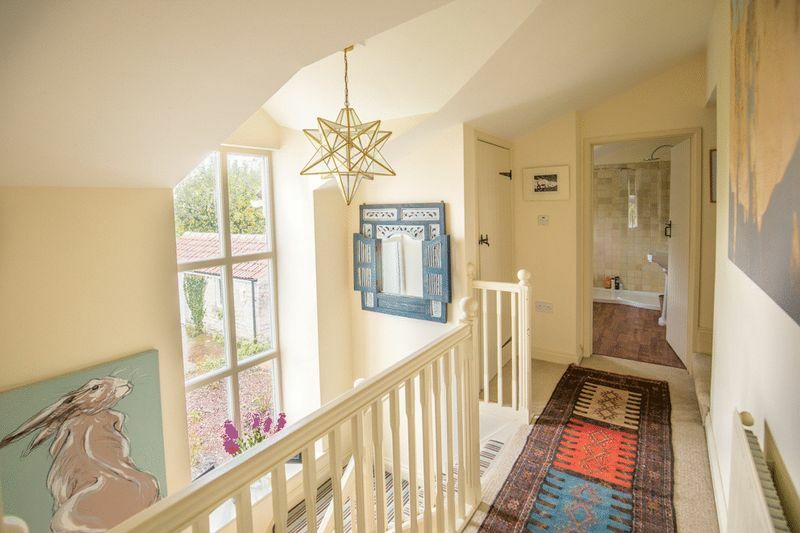 On the first floor there is a very attractive galleried landing with views over the lawns behind the house and to the fields beyond. 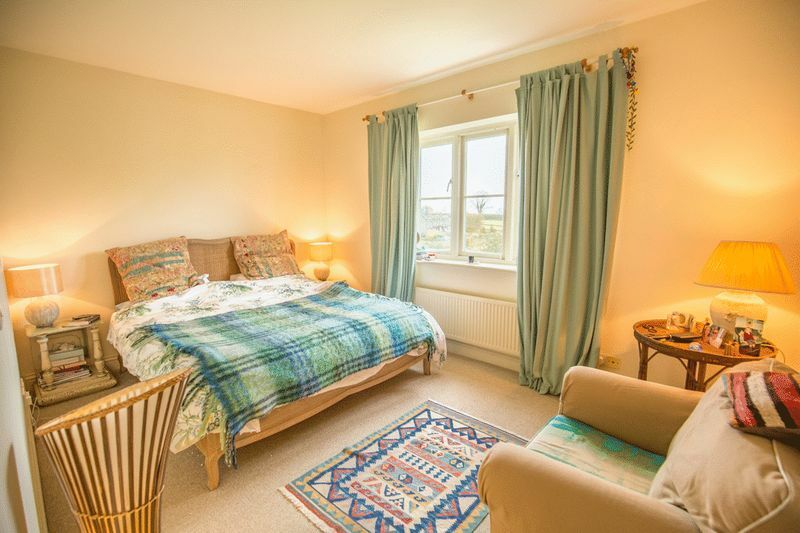 There are four good sized double bedrooms all with great views, one with en suite bathroom plus another good sized family bathroom. 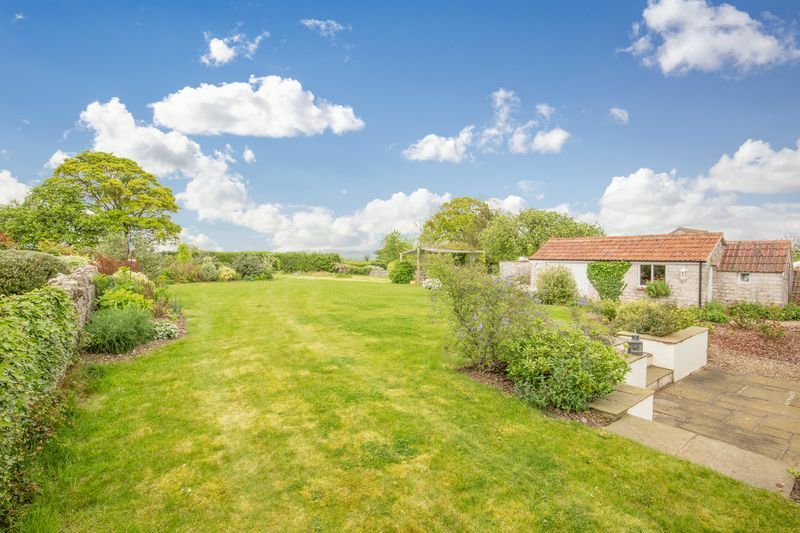 Outside at the front of the property there is a large gravelled driveway with space for plenty of cars. 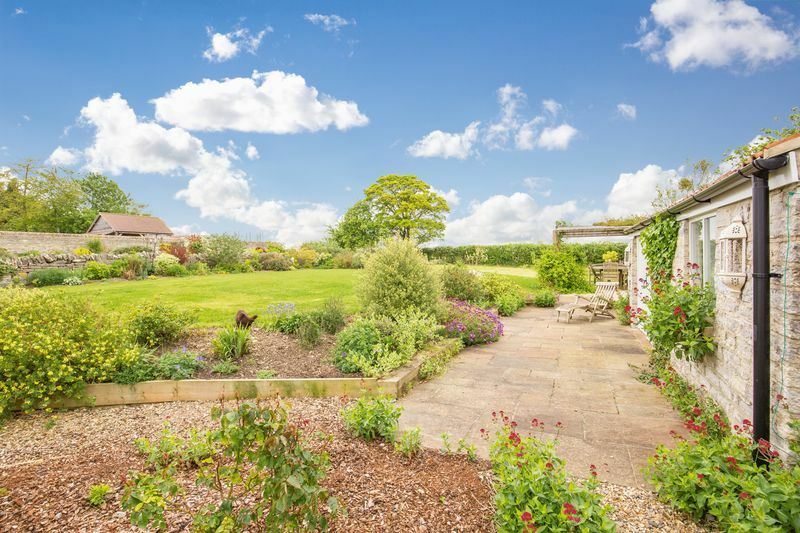 To the rear of the property is a good sized garden with a rose bed, flower beds, large area of lawn and vegetable area, plus a pretty terrace with pergola. There is a large outbuilding that is currently used for storage but could potentially be converted into a very good office/ studio. Bruton 12 miles, Wells 13 miles, Glastonbury 7 miles, Yeovil 13 miles, Street 5.4 miles, Bath and Bristol both 30 miles. 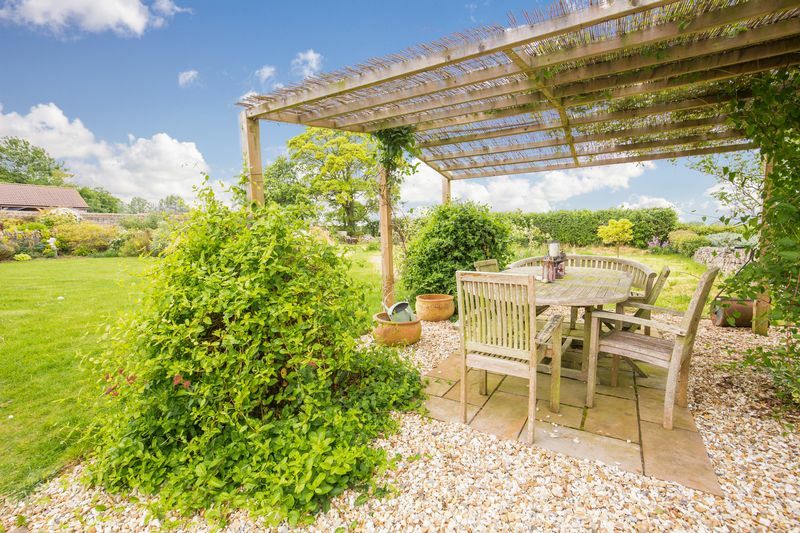 May Cottage set on the outskirts of the village is surrounded by beautiful countryside. 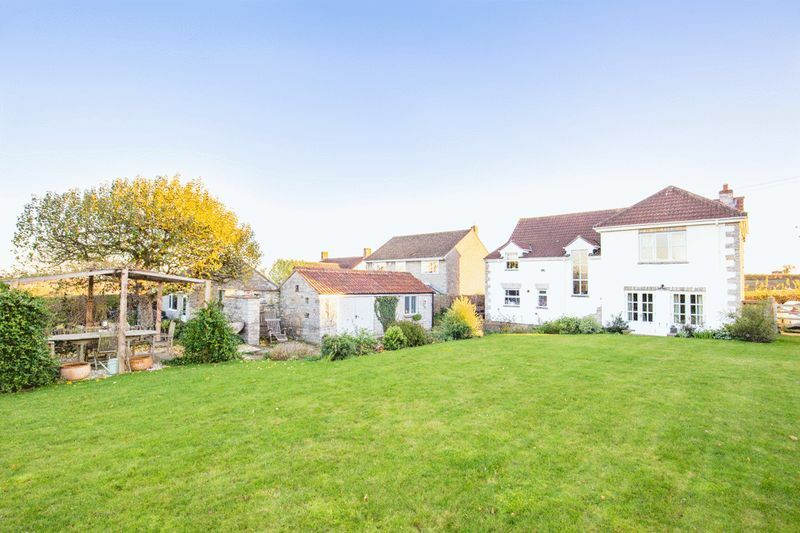 Barton St David is a sought after village with its attractive stone houses, village hall, rural location and beautiful church dating from the 12th century. The village has both a tennis and a cricket club, open to everyone. 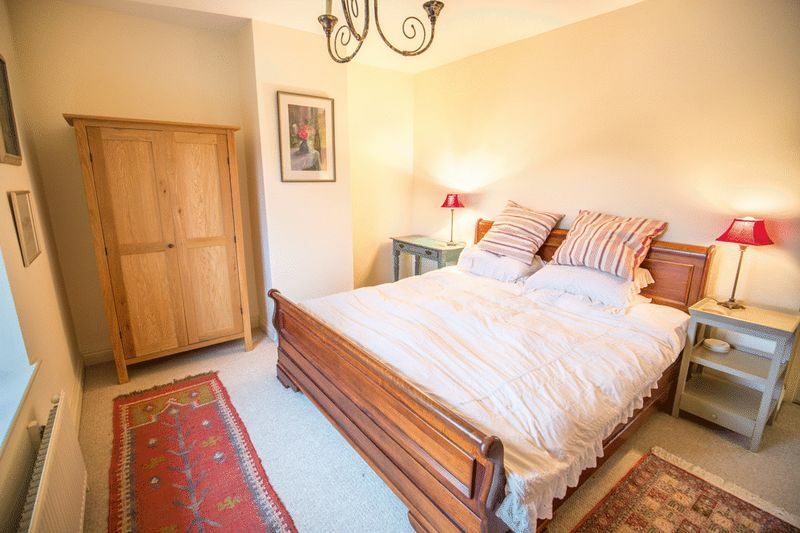 The cottage is within walking distance of two excellent pubs, the Barton Inn and the Rose and Portcullis in Butleigh. 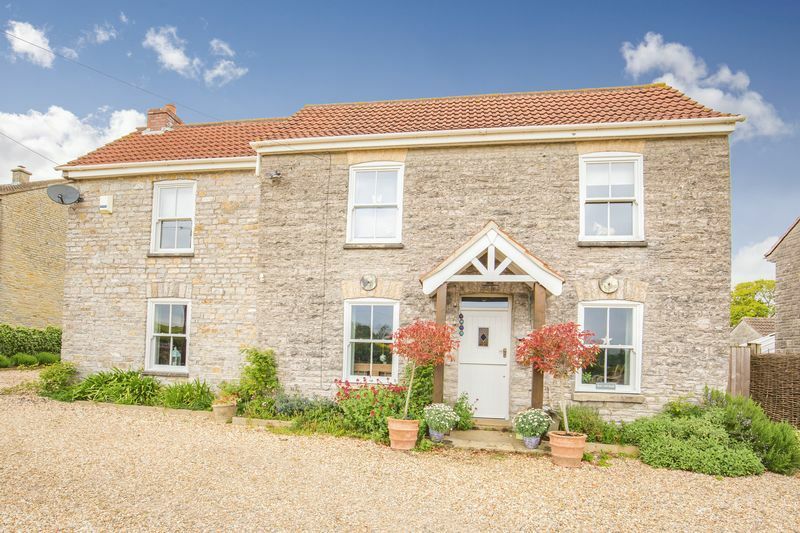 Local shopping can be found in the beautiful medieval town of Somerton or Street, where there is a major supermarket as well as the famous designer outlet known as Clarks Village. It is also close to Glastonbury (known for it’s eclectic mix of shop) plus England’s smallest city, Wells, with its historic cathedral. 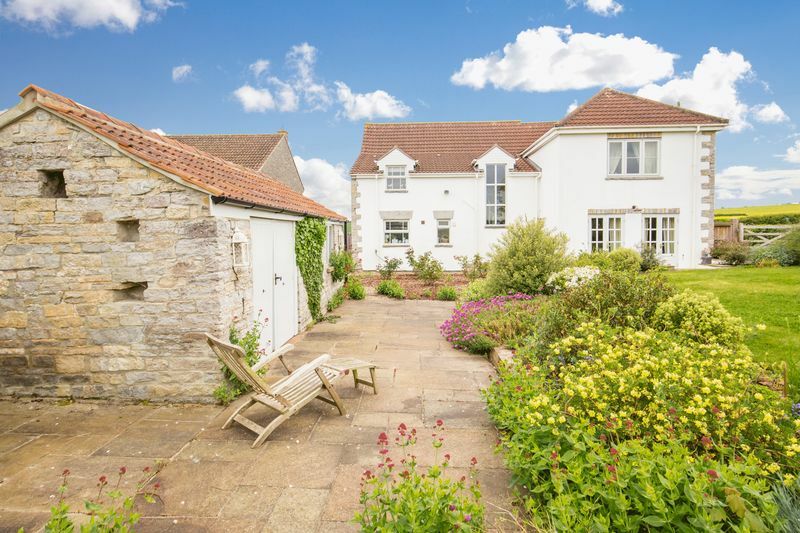 It is also less than half an hour from the very fashionable market town of Bruton, home to the popular restaurant/coffee/bread shop called ‘At the Chapel’ and the world famous Hauser and Wirth Art Gallery. 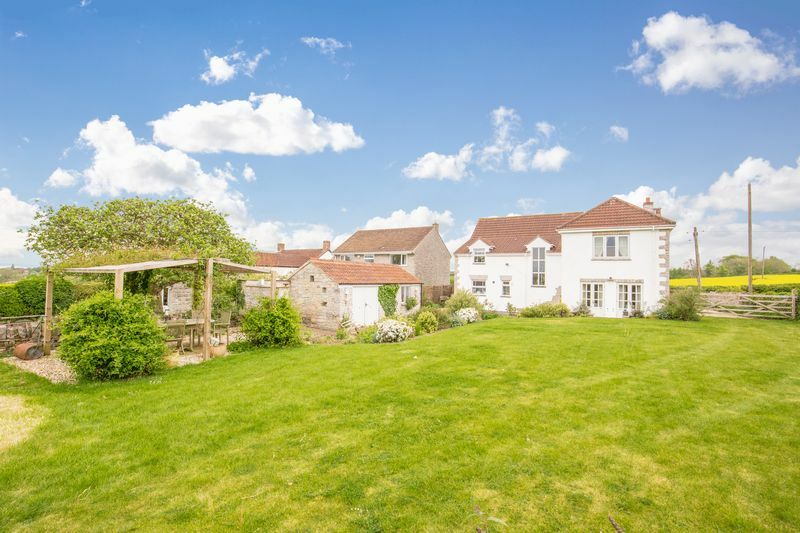 In terms of transport links, Bristol, Bath and Frome are all within about an hour’s drive and a mainline station with trains to London Paddington, is situated less than 5 miles away at Castle Cary. Bristol International Airport, which offers long-haul flights, is only 22 miles away. 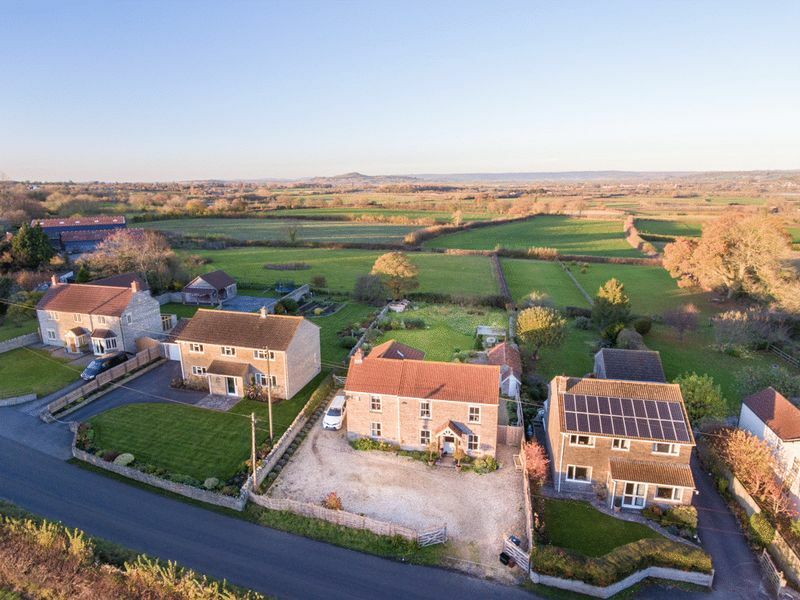 There are a selection of excellent schools nearby including Millfield, Strode College, Hazelgrove and All Hallows prep school as well as the excellent pre school in the village and the primary school in nearby Keinton Mandeville. 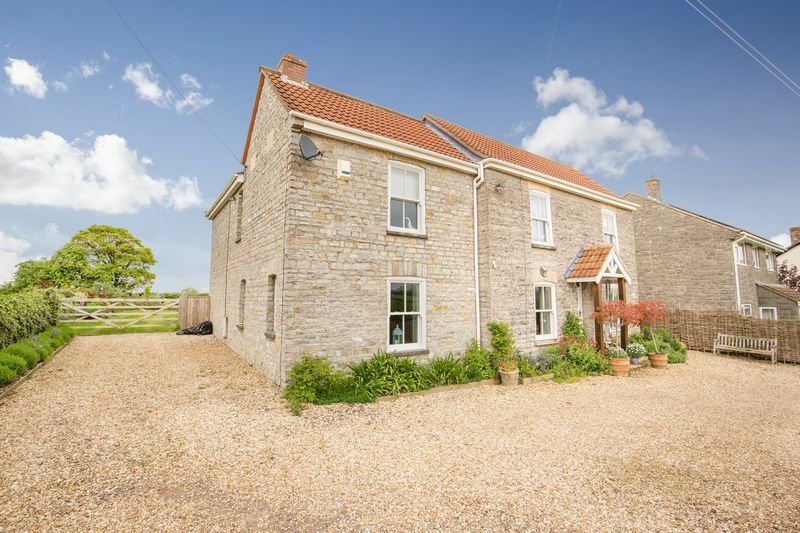 May Cottage is situated on Jarmany hill, and is on the right hand side of the road as you leave the village of Barton St. David going towards Butleigh. Viewings - By appointment only.